By Michelle Sathe For The Signal In November 2015, a Greenberg Quinlan Rosner poll found that 71 percent of seniors expressed extreme interest in the 2016 election. That enthusiasm certainly hasn’t dampened, at least not at the Santa Clarita Valley Senior Center. The center, located at 22900 Market Street in Newhall, is a popular gathering spot for local seniors and a polling place for the election on November 8. In fact, close to a dozen seniors gathered last week at the center for their weekly anthropology and history meeting. When asked about the current state of political affairs, the passion in the room was palpable. 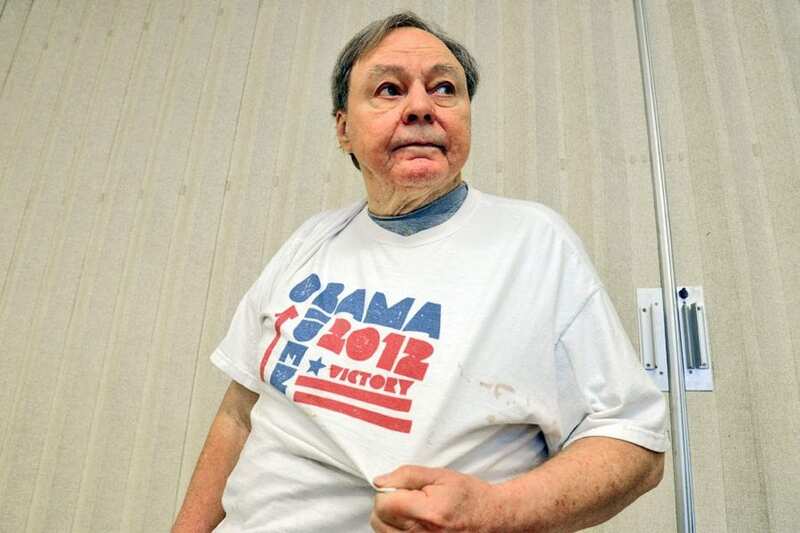 Bill Stehle, 75, said he’s never seen anything quite like this election. “It’s a disgrace,” said Bill Stehle. “I feel bad for the Republican party, even though I’m a Democrat.” Barbara Montejo agreed. “I can’t even believe Republicans would think this was a responsible candidate. Trump was the worst of the batch. I was like, ‘Really, you couldn’t find anyone else?” she said. The sole Trump supporter, Alex Shiern, piped up, “He’s the lesser of two evils.” Charles Bier was leaning a different way. “I’m not going vote or maybe I’d consider voting third party.” Several of the seniors were enthusiastic about the historic nature of Hillary Rodham Clinton as the first female presidential candidate. “It’s about time,” said Kay Fujii. “Many civilized nations have had woman presidents for years, such as Golda Meir or Margaret Thatcher,” said Stehle, who wore a faded Obama/Biden 2012 T-shirt. “This woman happens to be tainted, which is too bad, because I think underneath all the drama is a good person.” Montejo was a little less excited. “I wish it had been Elizabeth Warren instead of Clinton. She has a much better record.” Bier said he voted only females on the ballot during the last election but, “Nothing changed.” When asked about Bill Clinton being at the forefront of the last presidential debate, the group was in agreement. “Bill Clinton is not running. Hillary is,” Fujii said. “Trump is just trying to deflect from himself,” Montejo chimed in. For Fujii and Montejo, the recently released tape of Donald Trump on “Access Hollywood” bragging about sexual assault wasn’t much of a surprise. “Take all the things Trump’s said before on immigration, building a wall, Muslims, making fun of people with disabilities…,” Fujii said. “It just solidified how much I thought he was disgusting,” Montejo said. Bier interjected, “He’s not dumb, he’s not stupid, but he sure is ignorant.” The lengthy, negative nature of the election has definitely taken a toll, according to Stehle. “This is an aberration,” he said. “It’ll come back to normal eventually.” “I hope it will, but I’m afraid it’s not,” Bier countered. “We should do it like England does. Take just six weeks for an election, with no money involved, and free coverage on TV but that’ll never happen here.” Another improvement suggestion? Reduce the size of the 223-page California General Election Official Voter Information Guide. “It needs to be simply written and more visual. This just makes no common sense. They write things to confuse us,” Bier said. While all of the seniors in the group were retired, they all cited the economy as the primary issue driving their votes. “It’s still my country. I worry about my children and grandchildren. So many jobs have gone overseas and a lot of people are under or unemployed,” Montejo said.